With countless emails, constant communication, cascading deadlines, and seemingly endless meetings, it's a wonder any of us gets anything done these days. 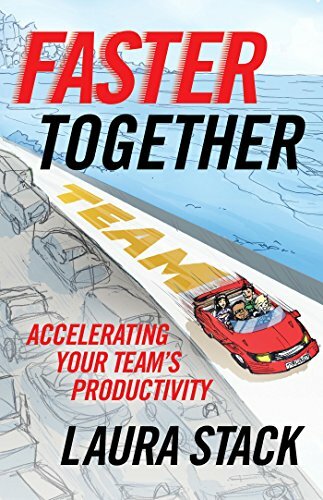 You can try working harder or faster or smarter, but what really makes the difference is "teaming well." A good team is the most powerful productivity machine in existence. Laura Stack's FAST model mobilizes teams to be the most effective they can be, while keeping each other's best interests at heart. Teams learn to work together Fairly, accept Accountability, apply Systems Thinking, and maximize available Technology. An interactive assessment helps you evaluate your team's current speed and rate of acceleration. Every team may have its stars, but they couldn't do their jobs without the rest of the team doing theirs. By the end of this book, you'll truly understand the abilities of your team and how each member makes things go. So, rev your team's engines, and you'll soon be roaring down the track together!